After a long, hard day, this was a great dessert to come home to! This was a long, tough school year. Lots of hard work, lots of time and schedule commitments. Oftentimes our kids, just like lots of other people’s kids, could be found on some device or other during their downtime, if they happened to have any. They’d make Video Star videos to their favorite songs, play a game or chat with friends. I was surprised however, when one day my daughter approached me asking if she could make a recipe from GirlsGoGames.com. I didn’t even realize Girls Go Games had recipes. I wasn’t even sure if they were real, doable recipes or not, but when I took a look, they were. The site listed tons and tons of recipe ideas, complete with ingredients and directions. I immediately said yes, we definitely could do that. 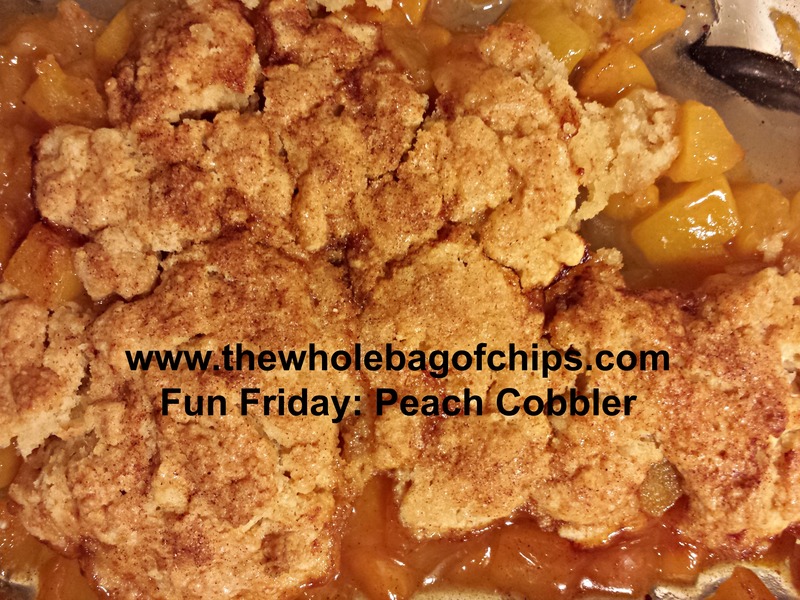 We chose a peach cobbler, an easy recipe which used canned peaches, even though I’m sure you could substitute fresh if you had them. It wasn’t quite peach season here yet, so we were going with the canned option. Having the ingredients here at the house, now that was another story. It turned out that we were low on lots of stuff and and there wasn’t one recipe on that particular day, that we had everything for. We had to put our baking plans on hold temporarily until I picked up a few things we needed. Sunday turned into Monday, and Tuesday and Wednesday, and you know how the days fly by. “Mom, WHEN can we make my recipe from Girls Go Games??? ?” she asked. I didn’t really have an answer. There wasn’t time to do it when I was home, at least not for a few more nights until the next weekend arrived. However, one night while I was out, I got a text from home. The text contained a photo of a bubbling peach cobbler coming right out of the oven at that very moment, courtesy of my daughter and my husband, who helped her make it that night. “I’m on my way home!” I wrote back, as I thanked him profusely for taking over the cooking project for me. I arrived home, just in time to be handed a pretty plate of cobbler with vanilla ice cream on top. It was amazing. So delicious, I was shocked. I couldn’t believe such a great recipe that was kid-friendly could come from an online kids’ game site. It was definitely a keeper. My kids work hard and they play hard, and I don’t mind giving them down time ever. I think they need it as much as I do. They read a lot but they’re also on their devices a lot too. It was nice to know, at least this time around, that it wasn’t just mindless time spent staring at a screen. Although I don’t mind them having that kind of down time on occasion too, it was great to see that their screen time turned into a delicious treat for all of us. I’ve linked over to the recipe twice in this post. 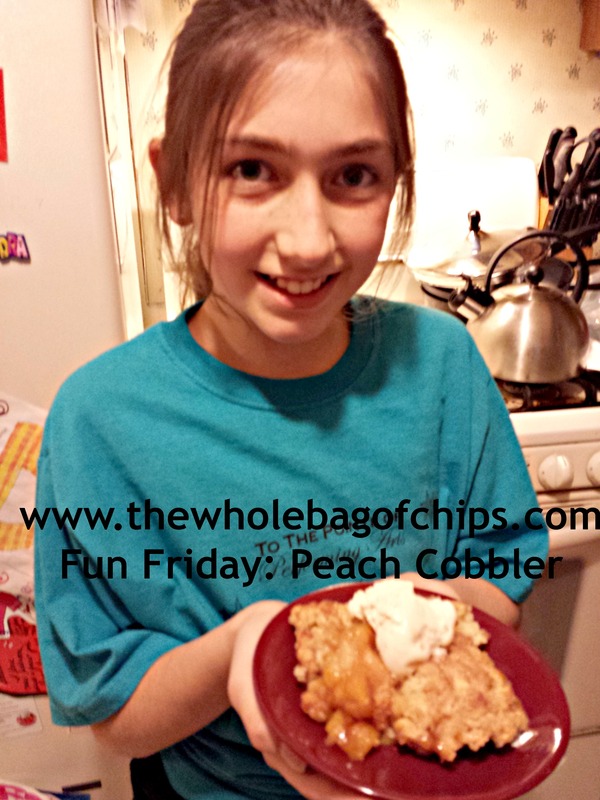 If you have a daughter who likes games and likes to cook, you can have them check out the site, and maybe one day you’ll come home to a yummy dessert at your house too! Hot and bubbly, this recipe was definitely a keeper!